Airlander 10 has returned to the skies after almost a year, equipped with a new suite of landing equipment. After successfully completing its maiden flight last August, the airship suffered a ‘heavy landing’ on its second flight just a few days later. Since then the aircraft, operated by Hybrid Air Vehicles, has undergone significant modifications to its landing gear. These include an Auxiliary Landing System (ALS) consisting of multiple airbags on Airlander’s undercarriage, as well as a Mobile Mooring Mast (MMM) that makes it easier to control the craft when manoeuvring around the airfield. 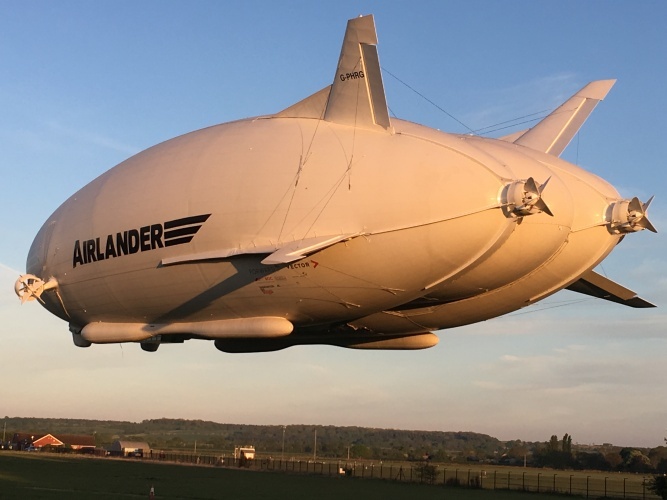 Its first flight of 2017 took place on Wednesday 10 May, with Airlander leaving its Cardington Airfield mooring at 1720. After a three hour flight through the Bedfordshire skies, it returned to the airfield to land at 2015. According to Hybrid Air Vehicles, the purpose of the fight was threefold. Firstly, to complete a safe take-off, flight and landing. Second, to assess the aircraft’s flight characteristics and the new ALS. And lastly, to collect flight performance data on handling, airspeed and all vehicle systems for post-flight analysis. 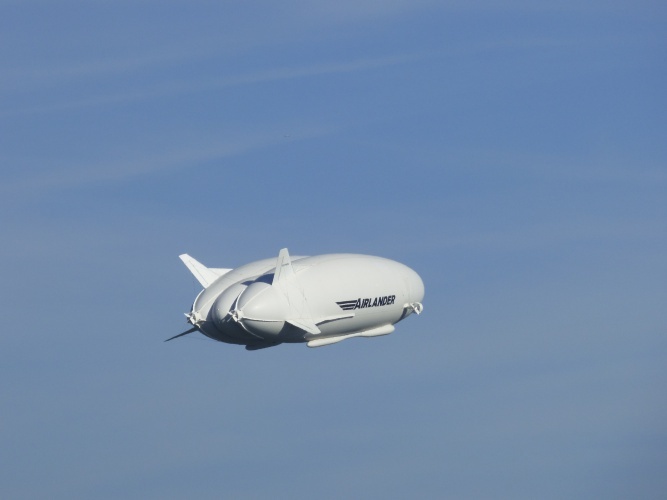 Airlander’s flight test team said it was happy with the flight and how the ALS performed on landing, but that the next few flights are likely to be a few weeks apart in order to analyse the flight data. Wonderful Idea -Green and quiet -if there is to be a revolution in large capacity movement through the air this is it – no tracks- no problem -good luck to project going forward. Great to see they have a safety system to avoid hard landings which can and will occur due to wind conditions on such a large structure. Only real problem I see is the load carrying capability is Only 22,000 Lbs yet the largest lift Helicopter is approaching 45,000 Lbs- yes more fuel but also flies faster than 80 Kts. They need to look at a higher load capacity to be cost effective, especially if used for disaster relief in inaccessible areas of the world?